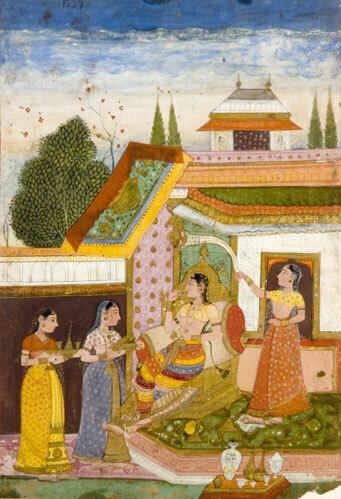 The earliest surviving miniature paintings are on palm leaves from the 10th century and on paper from the 14th century. The images accompanied texts in religious manuscripts and illustrations of mythological epics. 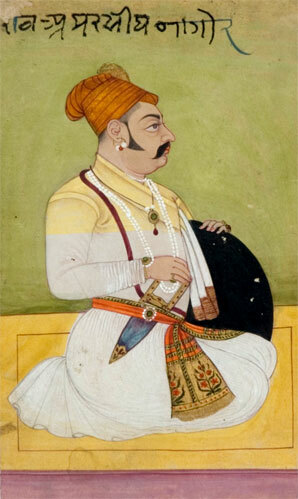 With the advent of the Mughals in the mid 16th century, the subjects of miniature paintings included portraits, court scenes, flora and fauna. 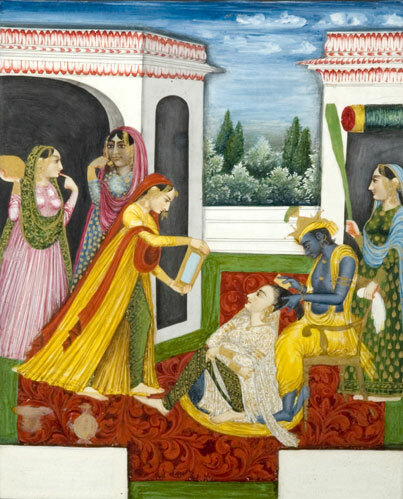 In the Rajput (in Rajasthan) and Pahari (in the Punjab hills) courts, the paintings continued to bring to life poetry, age old legends, religious mythology and the moods of love and changing seasons. The emphasis lay on the creation of a mood and the communication of bhava (emotion) through a rich and lyrical style. Artists worked together in karkhanas (workshops) often working together on a single painting; some specialising in composition and drawing while others were master colourists. 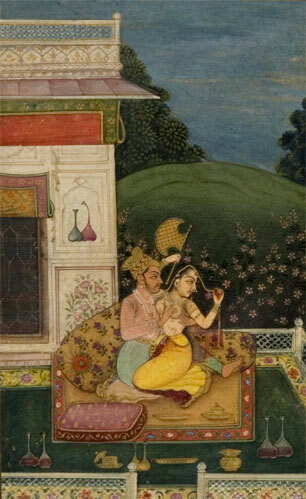 The most notable traditions of miniature painting in India are the Mughal, Rajasthani, Pahari and Deccani courts.